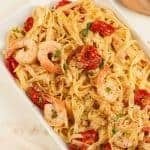 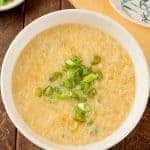 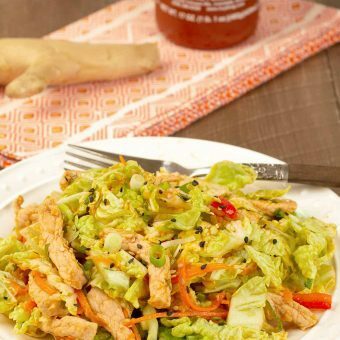 Adapted to use ingredients that are readily available in U.S. markets, the Asian recipes in our collection have been inspired by the cuisines of China, Japan, Vietnam, Thailand and Korea. 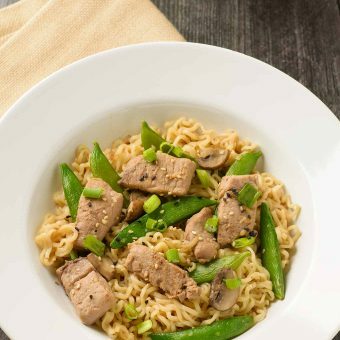 This easy, one-pan stir-fry combines tender pork, sugar snap peas and ramen noodles to make a flavorful one-dish dinner. 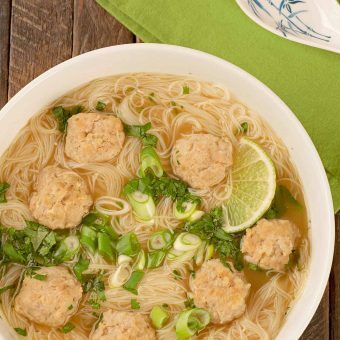 Tender chicken meatballs, thin rice noodles and broth flavored with classic Vietnamese soup ingredients like star anise, ginger and lime combine to make this light yet satisfying main dish soup. 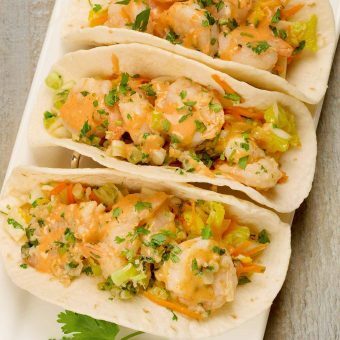 Topped with spicy sriracha mayo, these easy Asian shrimp tacos are filled with stir-fried garlic-ginger shrimp, scallions, cilantro and a simple napa cabbage slaw. 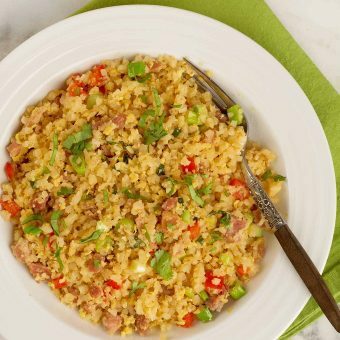 This recipe for cauliflower fried rice is a satisfying, low-carb alternative to homemade fried rice that has all the flavor of the conventional version. 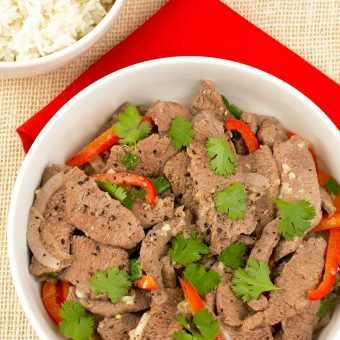 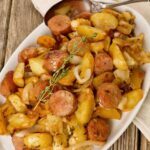 This easy and versatile Vietnamese-style garlic and black pepper stir fry goes from kitchen to table in 30 minutes and can be made with a variety of meats including boneless lamb, flank steak or pork. 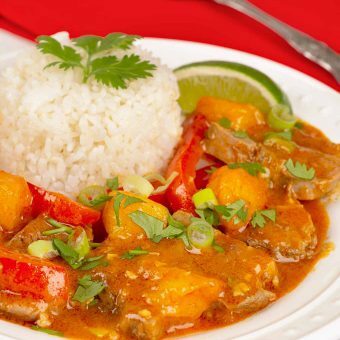 This recipe for Thai Mango Curry Duck is a deliciously creamy coconut curry that’s loaded with rich, fragrant flavors and really easy to make at home. 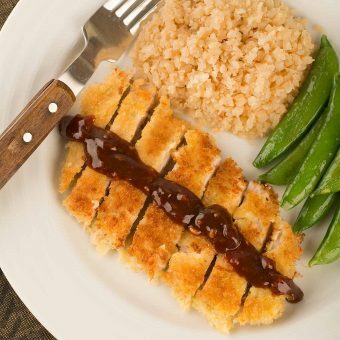 Tonkatsu, or Japanese pork cutlet, is a fast, easy dish of panko-coated pork cutlets, shallow-fried and served with a distinctive sweet and tangy sauce.